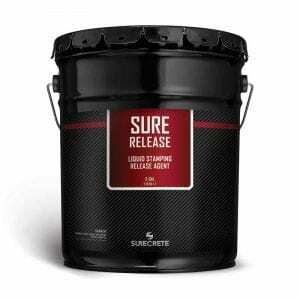 SureCrete’ s slow concrete sure liquid retarder additive reducers is an agent to help slow curing process in concrete bag mixes admixtures concrete, overlay mixes, and other Portland cement construction products. 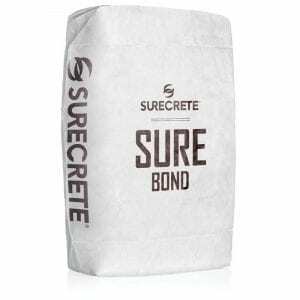 SureCrete’s slow concrete cure liquid retarder is a water retardation admixture safe non-hazardous, water-borne additive for cement products. It was designed specifically to slow the set of SureTex, SureSpray, or SureStamp that are seasonally adjusted to winter mix design. While a more rapid set is a desirable feature for cold weather or interior applications, winter mix can be unmanageable in warmer weather, especially exterior applications. Retarder can slow the cure of concrete made in the winter mix. For a contractor, Fore-times it is necessary to need slightly water reduce more work time for your surface than what would normally be required. 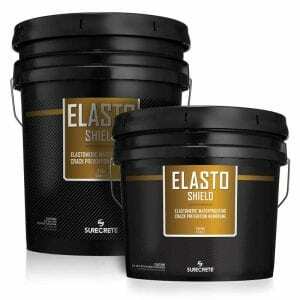 When this is the case, the use of retarder will help to slow the setting of the concrete overlay product. 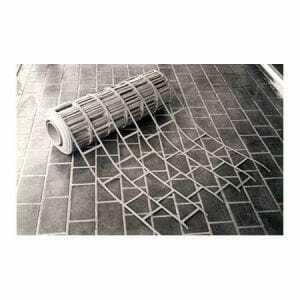 This can be beneficial when trying to apply a particularly intricate design. 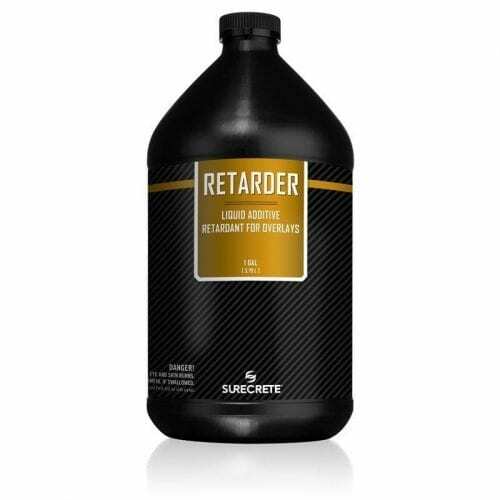 For homeowners who may have less experience working with an overlay product, concrete water retarder can help to give them more work time before it sets up permanently. How Do You Use Slow Concrete Cure Liquid Retarder? It’s not much more difficult that pouring it in a bucket! Shake jug well as materials will become settled. Pour retarder into mixing bucket after water has been added but prior to addition of dry mix. Amount to be added varies based on overlay mix. See TDS for specific addition instructions. Question: Can I use this Retarder to expose aggregate in newly poured concrete? No, it was not formulated to function the same way as the retarding agents used for that purpose.